We seriously doubt that you'll ever find a more complex and intriguing "second wine" from anywhere. This beauty takes Sangiovese to the next level, and it will present itself greatly early on, but also reward mid-term cellaring. 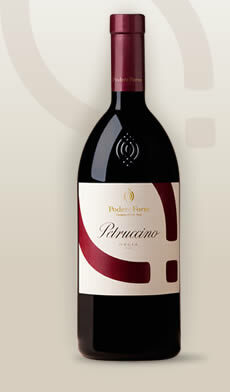 Born as little brother of the great Petrucci, it come from the youngest vineyards. Wine of magnificent grapes, it surprises for its powerful structure, even after only two years from harvest. Thanks to the hard works done to improve the soil, Petruccino has become a true premier cru, inspired expression of the Podere excellent soils. We’re disregard all people stating that there is something “secondary” about this wine, as it has proven itself to be of excellent quality in multiple tastings.